This is Part 3 of the DocuSign Integration through Parsey. This article will give you the basics on how to set up the Parsey portion. Now click Configure Actions and connect your Infusionsoft account. For the Duplication Method select Use a provided Infusionsoft Contact Id. Now select Skip this field for this Event for all of your fields except for ContactId. Set that one to Use as Concact Id to update existing record. Then Save Contact Settings. Note: DO NOT ADD ANY OTHER FIELDS TO THIS SECTION. 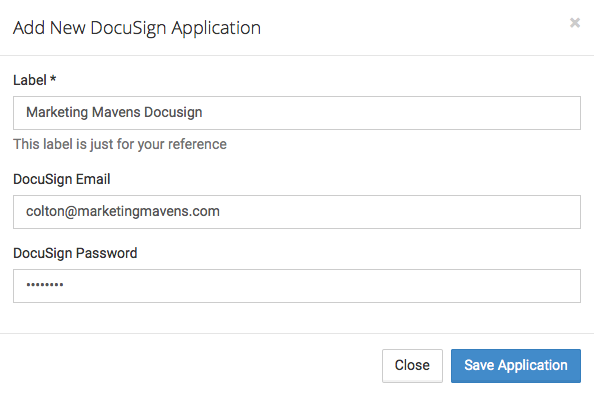 This next area is used for matching the Infusionsoft fields with the fields on the DocuSign document. Match the " Template Fields" with the "Your Extracted Fields". You can also update information in Infusionsoft. 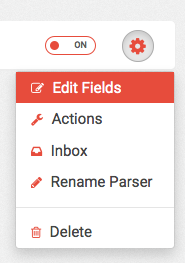 If you do not need to update anything, you can skip all of the fields under "Update Infusionsoft Field". Select the Fields for the customer you are sending the email to. THESE ARE REQUIRED TO SEND THE DOCUMENT. 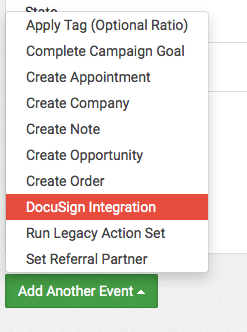 These are the Integration Names and Call Names that we will plug into the DocuSign campaign builder to automate actions when the document is Sent, Viewed, Completed, Declined, or Voided. Here you have the option to upload the signed document to the customers Infusionsoft File Box. Now Click Save DocuSign Integration. This is the end of Part 3. Please continue to Part 4.